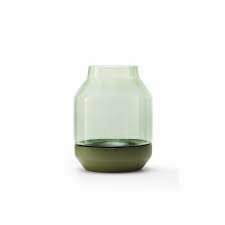 ELEVATED is a hand made vase that uses an unexpected mix of materials to support the design aim and reflect its Nordic origins. Ash wood is chosen to represent heavy and grounded, while glass is used to represent light and airy. 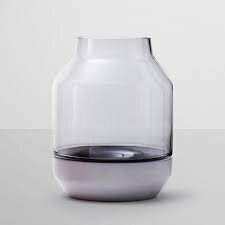 The design of the vase plays with the contrast between the airy glass top and the heavy solid base of the vase.